Gawker tech-blogger and journalist Ryan Tate reveals insight on how businesses can inspire greater creativity and productivity by allowing their employees to pursue their own passions at work. 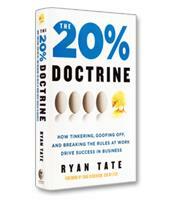 In The 20% Doctrine, Tate examines how companies large and small can incubate valuable innovative advances by making small, specific changes to how work time is approached within their corporate cultures. The concept of “20% Time” originated at Google, but Tate takes examples from businesses around world to demonstrate how flexibility and experimentation can revolutionize any business model, including yours. How to provide creative freedom to develop successful new projects. How to complete projects with limited time and resources. How reuse of old systems can launch innovative products. 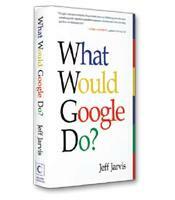 Why fast iteration of innovations is key to success. How to connect with people's passions to drive innovation. A new process to recruit people to your 20 percent project.